In August 2018, Co-founders Amanda Uhle and Dave Eggers commenced the annual International Congress of Youth Voices, which brought together nearly 100 students, ages 16 to 20, from around the world to learn with and from accomplished writers, activists, and elected officials. Asked to speak in its inaugural year, Inder Comar gave three pieces of advice to young people who are seeking meaningful social change: (i) Listen to your inner voice; (ii) fight the way things are with all your might; and (iii) die a good death. "We must resist the allure of growing fascism and imperialism that seduces so many people. We must become political, spiritual and peaceful warriors who have taken a sacred oath to defend civilization itself. "So I ask you: Let us be remembered, forever, as the enemies of dictators and tyrants." March 15, 2018 marked the 15 year anniversary of the commencement of the Iraq War: a war that led to the annihilation of the Republic of Iraq. Premised on lies, not a single leader or government has been held to account for war, or the crimes that took place after. 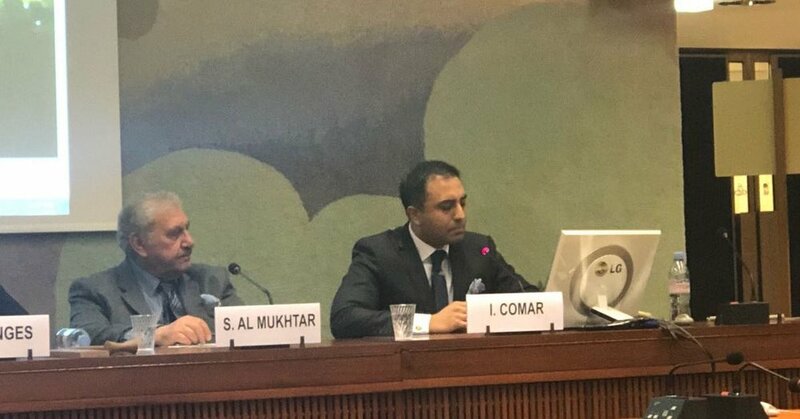 In this speech at a side event at the United Nations Human Rights Council in Geneva, Switzerland, Inder Comar discusses the failure of the international community to hold U.S. and U.K. leaders accountable for that war, and the consequences of a lawless world. This short documentary featuring Inder Comar first aired in the Netherlands. Watch it here. November 16, 2017 Speech at Lafayette College - Puerto Rico and Climate Change. 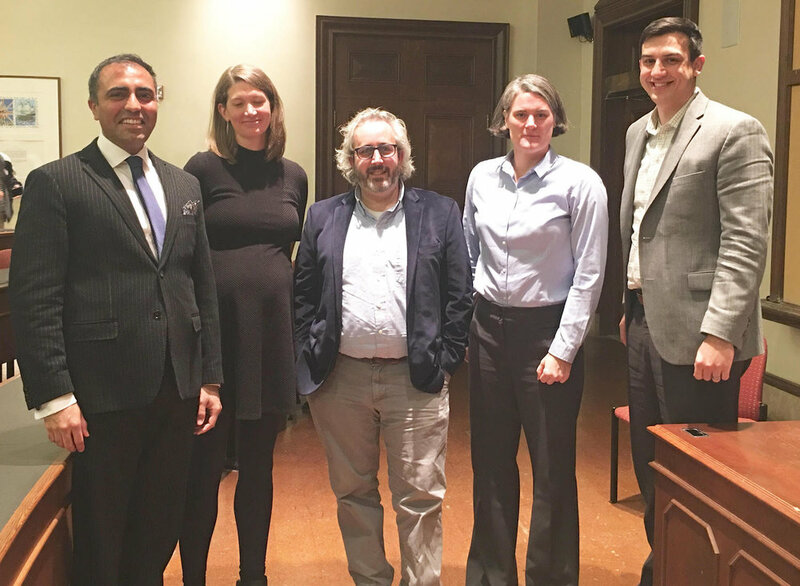 Inder Comar (left) gives the keynote address at a panel with Professors Andrea Armstrong (Environmental Studies and Science), Benjamin Cohen (Engineering), Kira Lawrence (Geology) and Andrew Clarke (Government and Law). The full keynote address is below. From September through October 2017, Hurricane Maria destroyed the lives of tens of thousands of people in Caribbean countries. It also destroyed the lives of American citizens in Puerto Rico. One month after the hurricane, Inder Comar discussed the aftermath of Hurricane Maria and the lessons to be learned about climate change, and the importance of people to begin to take action. Inder Comar was invited to speak at the United Nations on the effects of "Trump Travel Ban 1.0", which had just emerged within the first few months of the Trump presidency. The speech gives background to the travel ban and notes how policies on immigration in the United States spring from an unstated assumption that the United States is a "white" country. "Thinking people have to confront the reality that a de facto, race-based society remains alive and well in the United States." Inder Comar in Kuala Lumpur, Malaysia. 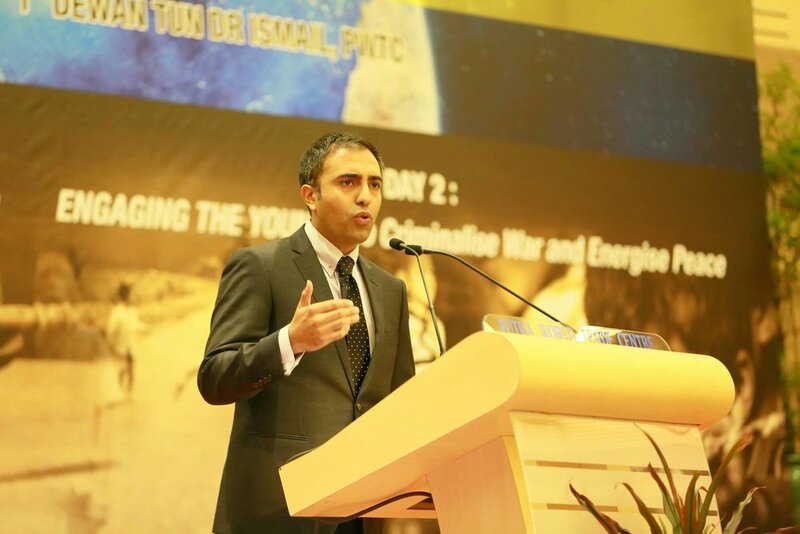 Other speakers at the event included diplomats, politicians, and war experts including Hans von Sponeck, the former UN Humanitarian Coordinator for Iraq, and Tun Dr. Mahathir Mohamed, the fourth and sixth Prime Minister of Malaysia. In April 2015, Inder Comar was invited to speak at the Kuala Lumpur Foundation to Criminalise War’s International Forum on Peace and Justice. "Our effort has to be to equate the people who commit aggression to pirates, to enemies of human civilization." In this short interview in 2013, Inder Comar discusses the reasons he set up his own law practice.